Recently, microalgae have attracted attention as sources of biomass energy. However, fatty acids from the microalgae are mainly unsaturated and show low stability in oxygenated environments, due to oxidation of the double bonds. The branched-chain fatty acid, 10-methyl stearic acid, is synthesized from oleic acid in certain bacteria; the fatty acid is saturated, but melting point is low. Thus, it is stable in the presence of oxygen and is highly fluid. We previously demonstrated that BfaA and BfaB in Mycobacterium chlorophenolicum are involved in the synthesis of 10-methyl stearic acid from oleic acid. In this study, as a consequence of the introduction of bfaA and bfaB into the cyanobacterium, Synechocystis sp. PCC 6803, we succeeded in producing 10-methyl stearic acid, with yields up to 4.1% of the total fatty acid content. 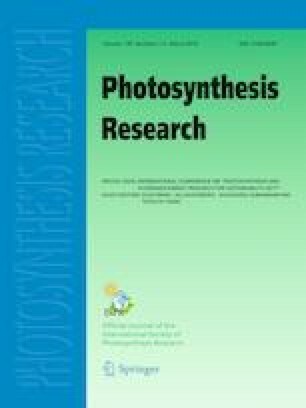 The synthesis of 10-methyl stearic acid in Synechocystis cells did not show a significant effect on photosynthetic activity, but the growth of the cells was retarded at 34 °C. We observed that the synthesis of 10-methylene stearic acid, a precursor of 10-methyl stearic acid, had an inhibitory effect on the growth of the transformants, which was mitigated under microoxic conditions. Eventually, the amount of 10-methyl stearic acid present in the sulfoquinovosyl diacylglycerol and phosphatidylglycerol of the transformants was remarkably higher than that in the monogalactosyldiacylglycerol and digalactosyldiacylglycerol. Overall, we successfully synthesized 10-methyl stearic acid in the phototroph, Synechocystis, demonstrating that it is possible to synthesize unique modified fatty acids via photosynthesis that are not naturally produced in photosynthetic organisms. The online version of this article ( https://doi.org/10.1007/s11120-018-0537-5) contains supplementary material, which is available to authorized users. The genomic DNA of M. chlorophenolicum JCM 7439T was obtained from RIKEN BRC, which is a participant in the National BioResources Project of the MEXT, Japan.